Here’s a picture of the pots and pans I currently use. I hang them on this pot rack. We spend a lot of time thinking about the foods we eat, but sometimes overlook the importance of the cookware we use to prepare food. It’s important to use cookware without coatings or substances which can leach into our food. 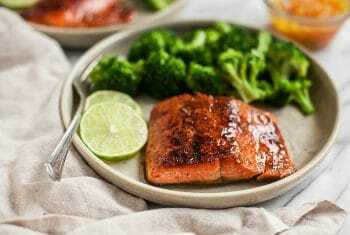 Studies have found that Teflon non-stick cookware, and aluminum – two of the most popular cookware choices – have a tendency to leach metals and other harmful chemicals into the food. Today we’re going to look solely at cookware and in a couple weeks we’ll circle back and discuss bakeware. Non-stick cookware has become very popular over the years because it’s incredibly convenient. Unfortunately, it emits toxic fumes when overheated and over time, the coating can wear away and end up in your food. Teflon is DuPont’s trade name for a synthetic polymer called polytetrafluoroethylene (PTFE). Non-stick cookware is simply a metal pan with a PTFE coating. Aluminum cookware is popular because of its low price and quick heating, but it comes with health concerns. 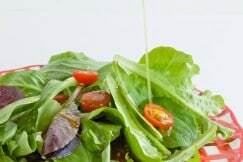 Studies have shown that aluminum leaches into the food during the cooking process. Aluminum is regarded as a neurotoxin agent due to its accumulation in the brain, bones and liver. Anodization subjects the surface of aluminum pots and pans to a process that builds up the metal’s natural coating of oxide. This should yield a hard, nonreactive substance that forms a tough coating. As a result, an anodized aluminum cooking surface is non-stick, scratch-resistant and easy to clean. 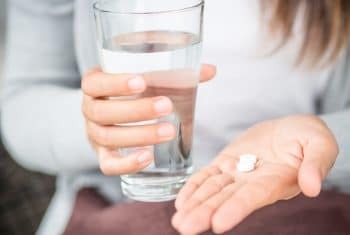 While there aren’t hard and fast studies to show that this material is harmful, I’m not comfortable with it. As always, I suggest you do your own research so you can make an informed decision! Stainless steel cookware is one of my favorites. It’s a non-reactive metal that doesn’t corrode or pit like other materials can. It’s durable, and can last a lifetime. Almost all of my pots and pans are stainless steel. I’ve had them for over 10 years and they’re beautiful! I found a few articles that said stainless steel could release very small amount of nickel into the food, but I had a hard time finding anything conclusive. If you’re sensitive to nickel you might want to avoid this cookware. The key to keeping foods from sticking is heat. I cook sunny-side-up eggs in my stainless steel skillet a few times a week using high medium-heat and ghee. It really works! This is a great option for those who love the even heating of cast iron, but don’t want to bother with the seasoning process. The cast iron is coated in a hard enamel, making it somewhat non-stick and very easy to clean. Le Creuset has some beautiful, colorful enamel pieces! Cast-iron cookware is a great conductor of heat and is very economical. Acids can cause some iron leaching, so it’s best to avoid cooking acidic foods in cast iron. I prefer to buy cast iron that hasn’t been seasoned, as most pre-seasoned pans have been seasoned with soy oil. Here’s a great post that explains how to season and take care of your cast iron pan. Dishwasher cleaning takes a heavy toll on pots and pans so it’s usually best to hand wash them. Large Dutch Oven (a large, oven safe pot with a lid) – I have the 8 quart size. 6” stainless steel skillet – great for cooking up small batches of scrambled eggs and such. 1 quart stainless steel saucepan – I actually own 2 of these. I use them all the time! While preparing for this post, I contacted the good people of Le Creuset and asked if we could give away one of their beautiful 12” stainless steel pans and they agreed! It’s a gorgeous all-purpose three-ply 12” stainless steel pan you can use for many years to come! Thanks for the useful information! I never really thought about how cookware affects my health. Ooo. I don't have any stainless steel Le Creuset. That would certainly be a nice thing to win. I could really use one of these pans. I recently bought a cast iron pan and it seems to be the only one I use lately. I love it! I received a 6 quart enamel pot for my birthday and I use it all the time! It's terrific. I also love my stainless pots and pans. I've had them for years and years. Recently, though, my husband and son went camping with some of my cookware and left it by the wash station! Ack! I've been meaning to clean out my pots and pans for a while - I love stainless steel! Would love to try one of these pans! This post is so helpful! I'm in the market for new cookware--perfect timing! Cast iron creates the best sear! !We have a Calphalon stainless steel set and really like it! I use the skillets a lot followed by the 3 quart "chef's casserole pan". I use exclusively stainless steel with the exception of my crepe pans and two fry pans for eggs. Those are carbon steel from De Buyer and, once they are seasoned, are as good as any teflon or cast iron I have ever used. I love enameled cast iron and stainless steel pans, especially ones with copper bottoms. Sadly, right now I do not have any favorite cookware. I tend to not cook but I'm changing that to get healthy! My favorites are the few stainless steel pots and cast iron pans. I wish I was better at building up the great coating on the cast iron though! That Le Creuset pan looks dreamy! I prefer non stick, just because my teenagers cook for themselves sometimes & they seem to have an easier time of using non stick & then my 2nd choice would be a really seasoned cast iron. I use stainless steel and my favorite cookware is the cast iron skillet that belonged to my grandmother. Oh goodness! I want/need these in a bad way. I am actually in the market for new pots and pans. I am currently using some that were a wedding gift 12 years ago. They were "cooks essentials" from QVC and I have my eye on the le Crueset line. Love my stainless steel pots and pans. I haven't been brave enough to buy any cast iron yet....maybe someday! A dear friend just blessed me with a 10qt cast iron Dutch oven and a cast iron 2 burner griddle pan. Time to start reevaluating my pans. My favorite is my Le Creuset pot that was handed down from my father. Love my cast iron skillets! Use at least one of them every day. I love my All-Clad cast iron dutch oven for making popcorn. I received a whole set of All-Clad stainless steel cookware, but I don't think I've mastered how to use it yet. Everything sticks and it discolors or looks burnt on the inside. I would love this pan to add to my collection and hopefully learn how to cook better using it! Thanks! I really enjoyed this information! I have the 7ply Viking Stainless Steel...LOVE THEM!!! I have a cast iron pan that somehow I seasoned to perfection and love it. I also have a professional pan which I think I better research and see what it actually is made of. Thanks for a great post. I love my stainless steel pots and pans. We invested in a set a few years ago and got rid of all our Teflon coated stuff. Right now I'm really enjoying my stock pot for making soups and broth! I prefer stainless steel or ceramic, but only if I know it's made in the USA. I had some nice dishes from Crate and Barrel, but it turned out they were made in China. From what I understand, China doesn't require testing of the glazes and they can be pretty nasty. We don't eat out of those anymore. I got a stainless steel Calphalon pan for Christmas and I love it. It's so much better than my cruddy old pans that had to get tossed every few years! I recently replaced all my non-stick with stainless steel. I love my new pots. I can't live without my grill pan! My favorite thing in the world is our cast iron skillet. I don't know why we resisted buying one for so long, but now we can't live without it. I like cast iron, but haven't quite mastered how to season it to the point where it's truly non-stick. I would love to switch to stainless steel! In the process of getting rid of teflon as well... bought a few Cuisinart pieces that are nice. Would love to try Le Creuset. I find stainless steel to be most versatile! Just got my first cast iron though. Hope to use it very soon. Have you used ceramic coated yet? I have a few pieces of Le Crueset enameled cast iron and three of their enameled stock pots... but stainless steel? Where have I been?! Swoon! I love cast iron and stainless steel cookware! I love my enamel coated cast iron! I use copper pots aluminum interiors. I am still trying to find my favorite type of cookware. Maybe I will win and find a pan that meets my expectations?! I love my cast iron!!! when its taken care of it properly it is just as good as other "non-stick" cookware! Cast Iron cooks soooo beautifully once you've taken the time & care to treat it right. I absolutely love my dutch ovens, and use them more than any other piece in my kitchen. I'm partial to Staub dutch ovens over Le Creuset though. While the enamel may seem more non-stick, I find that it can erode over time, while the Staub black enamel actually becomes seasoned and effectively non-stick within a few months with no risk of wear. There is nothing like a cast iron skillet! Toss up between s/s & cast iron. Love Le Creuset and this website! Cast iron! My momma needs some new pans so I hope I win for her! I can't wait to switch to stainless steel. I have been trying to decide what brand to go with. So many choices. I love my cast iron. Mine has been passed down from my Grandma to my Father to me. It's amazing!! Cast Iron... other than the weight its the best. I love using my cast iron Le Creuset pieces - I've been slowly collecting them one by one! Cast iron would be my favorite. I'm a fan of stainless steel and I like enameled cast iron. Love Le Creuset! Also love my All Clad stainless. I usually use stainless steel but have been going nuts lately over the ceramic non-stick! Cast is my favorite cookware. Ceramic/enamel is my fave. I hope to be able to switch soon, anything from my nonstick! Some day I'm going to own a cast iron pan. Thanks for the great giveaway! My favorite cookware is any besides what I have! Cast iron. I LOVE cast iron! I always use stainless steel to cook. I would love to get a dutch oven! Any good recommendations? Le Creuset makes some amazing dutch ovens! They last a lifetime and come in many different colors. Thank you for the informative article! I know the risks of Teflon and am trying to replace mine piece by piece since finances don't allow us to replace the whole set. Winning this would be great! I use almost entirely cast iron pans, which are my favourite. I'd like a steel one, though! That is such a nice pan, I would make so much yummy food in it ;) Thanks. I've used my Revereware stainless steel copper-bottom pots & pans for more than 30 years. They have outlasted every other piece of cookware that's come through my kitchen. Love them! This is awesome, I have been researching pots and pans for the last month. I need to replace everything in my kitchen because they are in horrible shape. I have decided to go for quality and replace them one at a time. I really hope I win. Thank you Carrie! I love my stainless steel pots/pans with copper bottoms. We got them as a wedding present 15 years ago and I can't imagine using anything else. I'm slowing trying to make the switch from my non stick stuff and would love to add this to my small collection. I love my stainless steel pots & pans. I also use cast iron a lot too. My parents had someone come to our house many years ago talking about how good stainless steel cookware is & they made the switch. We have never looked back. It was pretty cool how he cooked just plain water & had us taste the water from each different cookware. Stainless had no flavor. I use stainless steel for my stove top.But what about waffle makers and griddles? Seems like you just aren't going to find one with out the non-stick surface.And what about cookie sheets and muffins tins? Any suggestions? Have been wanting some good pans for awhile now! I've grown to love my Dutch oven. I use stainless steel pots and have a stainless steel skillet. I love my cast iron. It is definitely my most versatile piece in the kitchen. I love stainless steel but don't have any myself, at least not yet! I just got an All Clad stainless steel set for Christmas. I love stainless steel cookware!! I have been loving my cast iron. just recently got an enameled skillet and am really liking it. LOVE this post! Been looking for a good sorce on which pots/pans to buy and also how to restore my cast irons. Thanks! All my cookware is old. I sure could use this skillet. My fave kind of cookware is anything non-stick. I love the idea of stainless steel and cast iron but I have a hard time not having things stick. I have some stainless steel and I am learning how to use it. I would love to get a dutch oven in the future. I will get rid of my coated pans in time as I get new ones, but I don't have the money to buy too many at once. I should hit up some garage sales. My favorite cookware is anything that cleans easily- Le Creuset is pretty good at that. my favorite kind of cookware is stainless steel. we are slowly trying to replace our cheap cookware with stainless steel and/or ceramic enamel. thanks for the giveaway! They look lovely would love to win these. I love my le creuset!! cast iron and my ceramic scanpan pans!!! I love my Cuisinart "green" non-stick skillet! So glad this was posted. I love my Le Creuset. And I've been needing new pans for a while. love cast iron but still need to replace some other pans. Would love to try this one. I love my cast iron pan and also my ceramic one! Have never had stainless steel though! Very pretty! Love my cast iron skillet. A stainless pan would be wonderful. Actually just bought a LeCruset that we are learning to use! It's awesome. I love my dutch oven and cast iron pan from Le Creuset. I love Stainless steel. I am currently trying a new pan from de Buyer. Not sure if I like it or not yet! I love my cast iron, but I just got some stainless steel for Christmas! I love Le Creuset, I have one pot and it's my absolute favourite! I have a few pieces I really like, but I think my favorite one is my 5 quart dutch oven from LeCreuset. I love my Calphalon pans but they get worn. Would love new ones! My favorite is my cast iron skillet...use it for everything! I love my cast iron, but unfortunately Hubby loves the non-stick type. We need to ditch the teflon! I'm still searching for my favorite. I was thinking about aluminum, but I am allergic to nickel. Major bummer there!! I love my red cast iron pots! I love my stainless steel set! I use it all the time. We've been cooking with enameled cast iron after we started realizing some of the things that could be lurking in our cookware. I have seen what appears to be a really nice stainless pot and pan set by Kirkland at Costco recently. It has the copper core on the bottom. Do you know about/have opinions of the copper-core stainless pans? Also, "fried potatoes" is a traditional side with Saturday evening burgers at our house. By "fried" I just mean sauteeing in butter or coconut oil. They stick like CRAZY in my stainless skillet though. Your post said heat is key to not sticking... should I try higher heat? It doesn't seem to matter which oil I use. I fry eggs in it regularly and they try to stick as well, but don't have to cook as long, so as it's not as much of a problem.Thanks! I love anything in cast iron! I have too many teflon pans and want to convert away from them as I can afford. Love my cast iron skillet and enameled dutch oven! Sensitive to nickel, and didn't know about the stainless steel having it in there. Thanks for the info. I have no idea. Mine is a hand me down set... All I've ever used. We have stainless steel cookware, but I'd love to add a ceramic dutch oven to our collection! I love my non-stick pans :( but am ready to make the switch to healthier choices! I love my Le Creuset dutch oven and would love one of their stainless steel products! I use stainless steel because I have Fibromyalgia. Would love to win. I have an Emile Henri pot that I LOVE! We switched over to stainless about 4 years ago. I took awhile to get used to it but I can even make omelets that don't stick now! I love le creuset! I registered for a few things from them when I got married. I would love to use my cast iron and stainless. Would love to add this to my limited collection of stainless! I just recently got a stainles steel All Clad set for my birthday and I love it! I also have an enamel dutch oven from Le Cruset and I love it too! I use it about once a week to make your meatball and marinara recipe. I love stainless steel and cast iron. Thank you for the chance to win. I'm in need of updating my cookware. I love my dutch oven for sure! I have a combination of stainless and cast iron and am happy with them. All Clad and cast iron!!! I'd love to begin cooking on stainless steel! Thanks for the great info! I picked up a few stainless steel pans recently (post holiday sales) and am starting to get into the swing of using them - don't think I'll ever go back to teflon after reading about all of the health concerns. A le creuset would be a great addition! I love ceramic cookware! We recently have been replacing all of our cookware so I'm getting used to it but so far so good. Great giveaway! My favorite kind of cookware is cast iron! Stainless Steel is definitely my favorite kind of cookware. I love my Le Creuset enamelware. I haven't tried their stainless steel, but I look forward to giving it a try! Thanks. Wow this is an impressive giveaway ! I love my cast-iron pan. And my dutch oven! Can't wait to get rid of my non-stick pans! Can't wait to get rid of my nasty non-stick pans! Would love to trash my unhealthy coated cookware! Stainless steel and cast iron. I use a combination of Le Creuset, All-Clad, Calphalon and cast iron. And I give Le Creuset pieces to my daughters-in-law for anniversaries, holidays, etc. Always an truly appreciated gift. Cast Iron all the way! Have 3 frying pans of various sizes and a large Dutch oven - at least one or two of these are used everyday! I love my stainless cookware. It was a wedding gift several years ago and I'm so glad we have it. It's tough, oven proof, and cooks excellently. I love, love, love my cast iron pan. I love all the colors you can choose from! I bought a turquoise skillet and I'm looking forward to adding to the collection. I love Le Creuset's cookware! Thanks Carrie. Thanks for doing this post. Very informative! I am in the process of converting from mostly non-stick cookware to stainless steel, La Creuset, and cast iron. thanks for the giveaway, Carrie!!! I love my cast iron skillet. I just started using cast iron more - loving it so far! Thanks for the tips. I love our cast iron and stainless steel! Thanks for the opportunity and the research-based advice! If only I had the money to replace them all I would buy all enamel coated and stainless steel. Looking forward to being able to add some piece by piece. We use stainless steel, cast iron, and I do have two Teflon pans. I'd love to be able to replace those. Thanks. I don't have a favorite. Nothing so far seems exactly right. But we haven't tried stainless steel yet! as soon as i can afford it i will start changing pots and pots. My favorite cookware is my cast iron skillet that I got from an sntique store when I was 18. It was in bad shape and took weeks to rehabilitate but I did it! Its my favorite piece to cook with because its also the first kitchen item I bought when I moved out on my own ! Le Creuset cookware is the best! Cast Iron and stainless steel! I love my LeCreuset dutch oven! The butter crocks and the honey pot by the company are also so handy and well-crafted! I love this company. Thanks for the giveaway! I could not live without my cast iron pans! My best friend gets Le Creuset cookware from her mother-in-law every year for Christmas and she's built quite a collection. Now I can start my own collection (maybe)! Thank you for this opportunity! I use stainless steel, cast iron and Le Creuset enamelware. 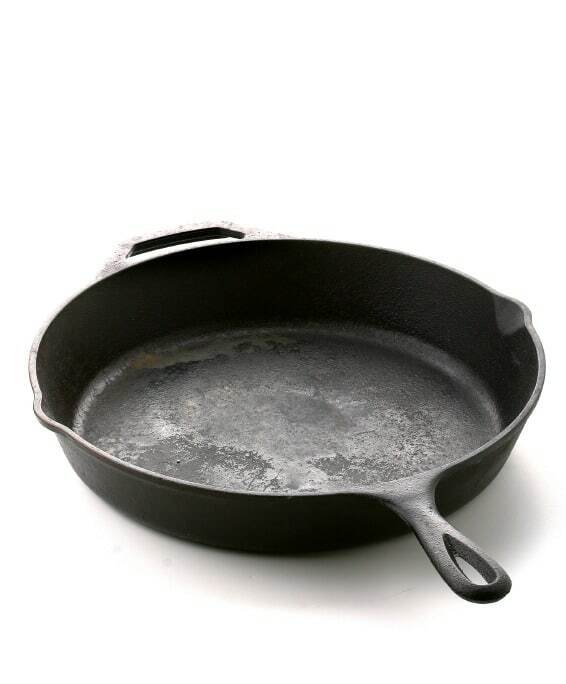 Would love to add this pan to my collection!!! I have a question: how do I know what my pans are made of? I have mostly Calfalon brand and one Todd English pan. Thank you for this giveaway and for this series. 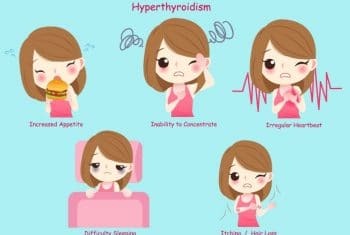 I am very new to eating healthy and have spent literally hours on your site and following links you've posted. I am very grateful for your blog. I am starting to feel good for the first time in years. I have a 10 inch stainless fry pan that gets used most. I ADORE Le Creuset! I got my very first piece for my birthday in August and I use it all the time for breads, stews, roasts and beef stroganoff! I really love your website, too! Time to start saving for a new pots/pans collection! Le Creuset would fill my kitchen if I could afford it. I have to settle for one at a time over the next several decades. I do love cooking though and it is a blessing. Thanks for the chance. I love my Le Creuset dutch oven. 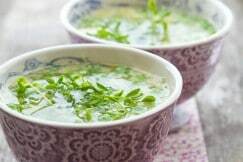 Best thing to prepare soups or other massive amount of food. I use cast iron skillet or stainless steel. We use cast iron for nearly everything these days, but I've been wanting to try an enameled Dutch oven or similar. I most frequently use my cast iron although my stainless steel is a close second. I love the enamel coated cast iron. I want to switch to all stainless steel but it will be a slow conversion since I don't want to get the cheap stuff. Stainless is my go to choice, but love my cast iron, too. I put out a request for old unused cast iron to family and friends, and that is how I got an old old old 7 inch one from my aunt. Still works, and well seasoned already. Yikes! We use Calphalon hard-anodized aluminum - I thought it was "ok" in the "healthy" department. My pans are getting a really great patina on them from all the searing. Truly, they clean up like they are non-stick, but we use metal utensils in them. 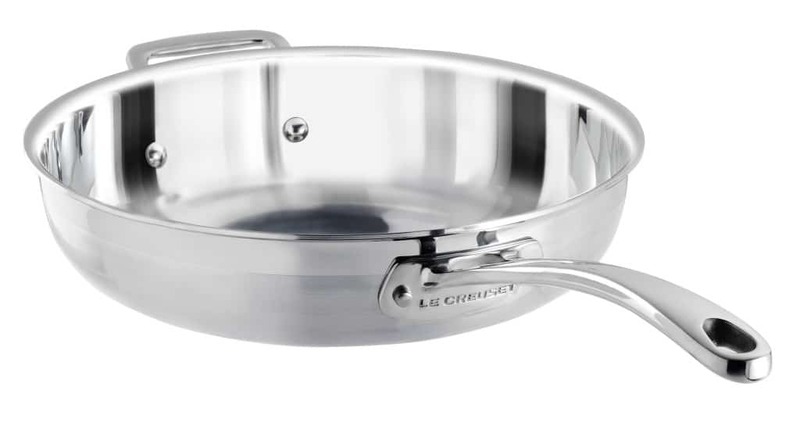 I'd love to win the Le Creuset stainless steel to compare. I am way over due for a new set of pans! !My favorite cookware would be ones that are chemical free!! I absolutely love my Le Crueset enamel pieces and would love to try their stainless! Cast iron and stainless steel my favs...would love a 12 inch ss pan! I have a Le Creuset Oval dutch oven in Onyx. It is beautiful! I love Le Creuset, Stainless Steel and my copper pots (however they require a lot of maintenance)! Right now I'm in love with my cast iron cookware. I use a 10 inch skillet, a 15 inch skillet, and a griddle/grill pan. I also just ordered my first piece of enameled cast iron. I can't wait! I love my cast iron pan. I got it from an antique shop in great condition! This is such a wonderful post..
Forgot to include the pan type. I just got my first cast iron and made some excellent pancakes this morning. We shall see, but I think I'm going to like the cast iron. I have a horrible collection of pans right now, but my dutch oven would have to be my favorite. I love stainless steel, but I do still have one large non-stick skillet which I have to use because I don't have (and can't afford right now) another that size. This would be a lovely replacement! About six months ago my mom picket up a Le Creuset dutch oven at a second hand store. I was the lucky recipient. It is one item in my kitchen I don't know how I lived without for so long, I love it! Love to WIN another Le Creuset item. Thanks for the opportunity! I am dying to get a dutch oven but currently get great use out of my cast iron skillet. My favorite cookware so far is an anodized one that I got at my wedding because it has draining holes in the lid and is pretty versatile. Unfortunately, I'm not sure that its 100% safe. From what I've read of different cookware options, it almost seems like everything has something wrong with it. Maybe I'll look into stainless steel cookware like you mentioned! I love my 12" "everything" skillet. I use it everyday! I used to have a small Le Creuset Dutch oven, but gave it away to a friend because at the time I didn't know how to use it and really wasn't interested in cooking. I've since come to my senses and regret giving that away. But anyway, I hope she is enjoying it! 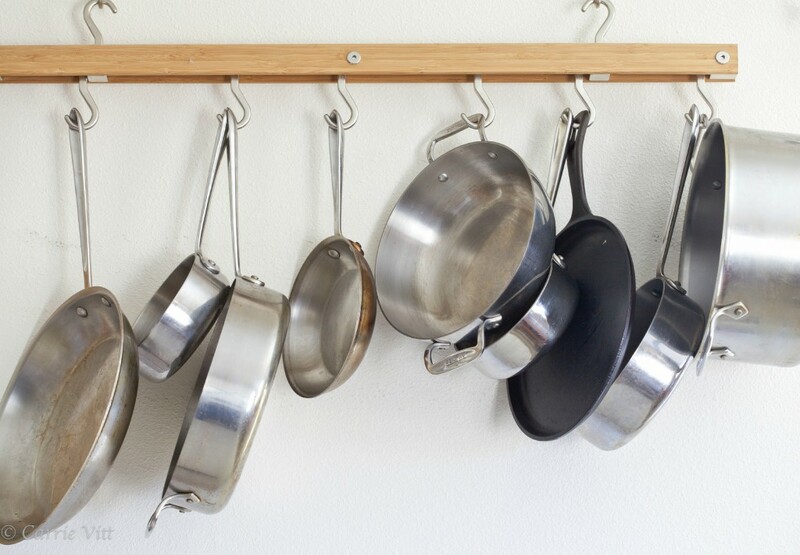 I would love to add one of these pans to my collection of cookware! I love my cast iron pan!! I love Le Creuset! I have been on the search for the perfect skillet. This looks like it would fit the bill. I switched to SS last year and will never go to anything else! I even cook eggs in mine every single day! Would like to switch to higher quality SS pans! I love my Lodge cast iron pans! I inherited a le creuset chicken fryer from my parents, and have longed for many years to add another LC piece.... it is great, and I have always wanted to cook with enameled lc, not just the unfinished cast iron. I love cooking with stainless steel! Inherited some non-stick pans, but next time around am definitely hoping to go the healthier route! I have one La Creuset pan and it is fabulous. It is quite large and I would love to have a smaller one. I have a Le Creuset enameled dutch oven that I use all the time. I love it! I use cast iron or stainless steel. I love my enamel coated Dutch oven! I have been looking at the Le Creuset stainless steel sets forever!! I would LOVE to win this piece! I like stainless for most things as well as cast iron. What would you reccomend for making omelets? A well-seasoned cast iron skillet is great for omelets. Enameled cast iron pans are great! It doesn't require the seasoning and they are so pretty! I also recently trashed my teflon and bought stainless steel... it makes me feel safer! No teflon in this house! I have stainless steel pots and pans, a cast iron skillet, and a dutch oven. If people would just adjust their way of cooking a little bit, they would see there is no need for non-stick coated cookware anyway. I am still searching for a favorite cookware type. We currently use annodized, but I am thinking stainless may be better. I love my new Cuisinart stainless steel pots! So far I only have the small sauce pan and a 8" skillet, but I'm looking forward to adding more! I also have one white enamel piece from Pampered Chef that I'm growing to love as well. I have just started considering getting rid of my non-stick, just debating what to replace with. Thanks for the post. My Mom and I were recently talking about this. Due to hard times I've had to move back home with my parents - and they have all teflon pans. I've been trying to convince her to make the switch. Just recently did the switch with my cookware. Love stainless steel! I bought some Le Creuset enamel pans over forty years ago and they are still going strong. I would love to have some of their stainless steel pans! I have mostly stainless steel pots and pans, but my favorite is my one large cast iron skillet. It's well-seasonsed and cooks like a dream. I had heard of health concerns from non-stick pans a while ago - I try to stay away from it whenever I can. I only discovered Le Creuset recently, but I LOVE their enameled cast iron cookware!!! My favorite cookware is cast iron. I have some pieces that belonged to my Dad and have purchased more since then. Great for home and camping! I have two Le Creuset Skillets and a little sauce pot. I also use a Wolfgang Puck Stainless steel sauce pan. We got rid of our teflon coated pans a little more than a year ago. I love my new ones. I have only used non-stick but have been wanting to by a cast-iron pan for quite some time. My favorite cookware item is our dutch oven. It's great for soup and a very pretty blue. Love it! Two years ago we tossed out all of our nonstick pans and now use stainless steel and cast iron. We hope to one day own a Le Creuset! I love cast iron for some things and stainless for others. I try to steer clear of teflon because I know the dangerous fumes it can emit into the air. I love my Faberware stainless steel and I never put them in the dishwasher. They get hand washed as do all my pots and pans most of the time. I absolutely love my Le Creuset skillet and dutch oven, they are the best! I would really like to start replacing my non-stick pans with stainless steel, so I would love to win this pan! your website is so inspiring!!! I have a set of stainless steel pots that are nearly 7 years old and they still work and look great. However, I've still been using a non-stick pan for my eggs and pancakes. I wanted to get a cast iron pan, but I have a ceramic top stove and someone told me you can't use cast iron pans n a ceramic top stove. Is this true? I use stainless steel but really need some new ones. I am a stainless steel gal myself. Been using the same set my mother gave me for a wedding shower gift twenty-five years ago and they're still my go-to pans. I have a few stainless pans, they are my favorite now. I love my stainless steel pans! And I LOVE my Lodge and Martha Stewart porcelain enamel cast iron Dutch ovens!!!!! I don't think I have a favorite type of cookware at this point. I own nonstick cookware and am just learning about other options. Would love to win to get started on a better path! I love All-Clad but I only have one pan. I'd love to win this! A beautiful pan that I would love to win! I have not had any "expensive" cookware, but I really love cooking with my pizza stone. Thank you for the opportunity to win this awesome pan. My favorite cook wear is a Dutch oven my husband got me last year! I have one Teflon pan that will be taken out with the trash today! Hoping in the next few months to find a new cast iron skillet and to slowly invest into some Le Creuset pots and pans, I have been very lucky to find them at our local home goods for 50% off and at a William Sonoma outlet as well! I am trying to learn more about safe cookware. It never even occurred to me that it was a concern. I want that skillet! Would love to switch over to stainless steel. I love my Le Creuset dutch oven! I need to find my favorite kind of cookware. I do have one enameled cast iron dutch oven that I love but I just don't use it enough. I was thinking about trying stainless steel to replace a couple of my older pans that are in rough shape. I love my Calphalon wok! Stainless steel of course! I just tossed all my nonstick pans and switched to stainless. Never been happier. I've always wanted a LeCreuset pan. I like a number of different types of cookware: stainless steel dutch oven (all clad) and sauce pans. Also I don't use teflon, but do have 3-4 of the new ceramic nonstick skillets that work great. I've learned to love cast iron. Thank you for the great information - I am inspired! Thanks for this great information on cookware. I never did care much for aluminum and never bought it, but I still use 2 stainless pots I bought when I was first out of high school! I've always wanted some LeCreuset cookware, but never spent the money to buy any! Thanks for the opportunity to win a great pan! I really need some new pots and pans. Thanks for the info! I use all-clad, cast iron, and Le Creuset enameled cast iron! I would love to have a LC stainless skillet!!! While pregnant, I made my husband throw away our non-stick skillet! I could smell the fumes, and they made me nauseous! Also, I could tell if he made my scrambled eggs in the cast iron versus the non-stick. I swear I could taste the chemicals! I totally freaked me out. I LOVE my Le Crueset dutch ovens and often use both stainless cookware and my cast iron skillets! We switched to all stainless, cast iron and enamel. What an awesome pan! We are making the switch to all stainless steel, slowly but surely. Would love to add this beautiful Le Creuset pan to what we have... what a perfect size too!!! We are slowly switching over to Le Creuset and Lodge cast iron cookware as we across great deals. I'm so happy to hear enamel is safe! I've been looking for cookware for my camper but cast iron is so expensive! I'd love this new pan!!! I just started cooking with my cast iron skillet. It takes some getting used to. Great article. No idea. Need to look at my pans again. I love to use my cast iron but would really like to move toward a set of Le Creuset! Fave cookware right now is the stainless steel, copper bottom large saucepan. It's not schmancy but it heats well and has high sides for less spattering and clean up. I own non-stick and really looking to replace them all to stainless!! Thank you for this post! I love my Calphalon anodized aluminum cookware. My favorite is Le Creuset! I don't have any of the stainless steel cookware, though. I love any kind of stoneware baking dishes! My cast iron pans are my favorite cookware in my kitchen. Once perfectly seasoned, it is THE best "non-stick" cookware. I find mine second hand and give them new life. Stainless steel is my other favorite. Le Creuset is my "dream kitchen" cookware... I swoon over both their stainless steel and enamel, but to date, have not been able to afford them. I would love to be the winner of the 12" pan you are giving away. What a treat that would be! I would love a new pan! I love my cast iron but I can't use it for everything - like acidic things. I don't have a Le Creuset, but I do have Cuisinart and love them. I love Le Creuset's other products. I gave my 20 year old niece a le crueset dutch oven I found for $5 at a garage sale and recipes to go with it. Her roommates love it! I own one Le Creuset pot and I am in love with it. I hope to slowly replace all my cookware with Le Creuset. It always been a dream of mine to own some LeCreuset cookware. I would love to win this. Stainless steal is my favorite! I used to have a La Crueset baking dish and I sure do miss it. I love my ceramic non-stick (no chemicals), and stainless that I use with coconut oil only - otherwise stuff sticks :) I would give this pan to my MIL! They still use old, scratched up teflon pans and we have to eat that food when we visit! I love my great grandmother's cast iron skillet! I have a great set of stainless steel cookware that I use all the time. But I also couldn't get by without my cast iron frying pans and Dutch oven. Depends on what I'm cookin'! Thank you for this opportunity! Stainless steel - but for us, that requires using a steel pad to scrub it clean. I use my mother's old Cooks Essentials that has a coating. I would LOVE to win this and would love to have more stainless steel or enamel coated cookware. I have a cast iron skillet that I apparently did not season correctly because it rusted from day 1. I love my LeCrueset pans! I would love to win the cookware. We are in the process of making changes to our diet and how we cook. Thank you! I would love to try a le creuset pan. I have heard good things but have never used one. Huge fan of Le Creuset enameled cast iron. I like cookware that does not have the nonstick surface. Hi Carrie! We use stainless steel most of the time. I have my mom's genereously sized Revere Ware pan that she got in the early 50's....that says a lot for how well they hold up. We had the cast iron LeCreuset....a full set...it was stolen from our storage unit. Needless to say...it was too expensive to replace and insurance didn't cover. I really miss it! Green Pan and cast iron! My favorite cookware is my cast iron. That stuff lasts forever! Thanks for writing this post. I always wonder how harmful the Teflon pans that I use are. I might have to put some new pots and pans on my birthday list this year. i love my cast iron enamel dutch oven, i use it all winter. Definitely prefer stainless steel over here! Stainless steel, but I'd love to try enameled cast iron. Informative post. Love your pan rack!! I was just looking at purchasing new cookware to replace my non-stick.... Thanks for the great info. Love the look of le cruset! My MIL gave me a cast iron pan when we first got married 10 years ago. I love that pan. DH is a chef so we have some wonderful cookware but it will always be my favorite one to use. I use stainless steel and cast iron. I have had great success with both! Thanks so much for the post and for the giveaway! I worship Le Creuset. I like cooking with pans that are heavy and sturdy but are also beautiful. I totally agree with you on all points. I have gotten rid of my costly anodized aluminum and cheaper cookware for only stainless steel, cast iron and I have one enamel dutch oven as well. My most-used are cast-iron - I love them! Stainless Steel cookware is definitely my favorite! I have a stock pot that's stainless steel with a heavy bottom. Love it! I'd like to replace everything I have with all stainless steel. Thanks for allowing me to participate in the giveaway. I love stainless steel and would love to win this pan. Thank you. I love Le Creuset cookware but don't have any pans yet. We have Scanpans. How fun, Carrie! I love Le Creuset! And I'm a big fan of All Clad cookware - stainless steel is such a joy to cook with! Yikes! I currently have non-stick, which I will definitely need to be replacing with stainless steel. We have a glass topped stove and it said I can't do cast iron. The only pans I still need to purge are my skillets with the non stick coating! Just did not know what to replace them with, so winning this giveaway would be awesome for my families future health! Loving my cast iron skillet lately! Going to start working on accumulating more cast iron and Le Creuset cookware over the next couple of years. Love my all clad stainless steel, best investment ever. I have to say that my Le Creuset stock pot is my favorite piece of cookware and I would love more Le Creuset since it is my all time favorite cookware. I love using cast iron! I love my stainless steel cookware. My next choice is cast iron. I love cast iron and stainless steel cookware. I love Calaphon's Anodized aluminum non-stick pans. I have a few others, but those are my go-to ones. 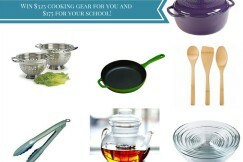 Love the ceramic cookware...has anyone tried the pampered chef new ceramic line? It is interesting to me that you posted this just as our family was taking interest in toxic cookware. I use stainless steel... a very old set, and I do like it. However, it is old and I am looking into cast iron pans and a newer stainless set. Thank you for this article! I have stainless steal pots. Le Creuset cast iron skillets and I have trouble with them heating evenly and therefore really disappointed in them. Should I get them replaced? I found some Green Life frying pans at Walmart last summer and love them. They say ceramic non-stick on them. Anyone know anything about them? I love good ol' fashioned cast iron... still cooking on one that was my grandmother's many years ago. I am definitely in need of some new pots for cooking though! Thanks for the tips. I need to get rid of my non-stick pans and replace them with stainless steel and enamel! I would like to switch them all over in time. Use a lot of stainless now but still have quite a bit of teflon too. I love Le Creuset, I have one..a dutch oven, which is so nice. I use my Le Creuset enameled cast iron multiple times a day, as well as my Calphalon stainless steel pots. I love good cookware! I love using cast iron. I love Le Creuset for cast iron and All-Clad for everything else! Thank you for such great information. I really need to take a close look at what I am cooking in. Winning this would help a lot! Thanks so much! I love cast iron because it goes so easily from stovetop to the oven. Have always cooked with non-stick. I need to switch! I use Giada's cookware from Target and a couple of cast iron skillets. Both require a lot of effort to clean, but I do enjoy them along w/cooking. Would be elated to try out or win a Le Creuset! My favorite kind of cookware is stoneware. Love it! I just bought a bunch of cast iron pans and bakeware, but I'd love to try stainless steel too! I love my stainless steel pots and pans! It takes a little while to get used to them after switching from non-stick, fyi for anyone who might get some soon. I just recently got my first stainless pan (we have all teflon pans currently) and enjoy it knowing our family is cooking on a much safer pan! I need to make this switch but money is tight and I'm still working on restocking my pantry with whole foods and such!!! Good to know I have heard great things about the brand!! Le Creuset and All Clad are my tow favorites! I love stainless steel and cast iron cookware! I also have one of the Le Crusset Dutch ovens and it is one of my most used pieces, year round. One of the best and most durable items in my kitchen! What a beautiful piece of cookware! I'm with you, I'm a SS kind of gal! I love your pot hanger...do you find the pots scratch your wall when putting them up or taking them down? Thanks for the article! It has scratched the wall just a little, but nothing too noticeable. In fact, I hadn't even noticed until I read your question and then went to look at the wall. ha! You can also hang it from the ceiling, which is a nice alternative. I would love to own a LeCresent pan. The last time I seasoned my cast iron pan something went wrong, so I'm looking into the best oil, temp and time. Unfortunately, the link you have on here isn't working :( Do you have a prefered oil, temp and time? The link works on my phone, but not my computer. Time for an upgrade! Thank you! Hi there, I don't know if this was mentioned or not but I just wanted to ask. You said in your post to stay away from aluminum, but when I go to the Le Creuset website their Tri-ply stainless steel set says that its made with aluminum. If its its such a good set why is aluminum used? The aluminum is used in the interior of the pot/pan, not on the exterior. So the exterior material be it stainless steel or enamel is a good material to use. From my understanding, pots from a company such as all-clad have aluminum cores, but the aluminum is completely sealed inside the stainless steel. I've never read anywhere that says the aluminum in well-made pots like all-clad can leach into the food. If it bothers you, you might want to look into Le Creuset which is enabled cast iron. I've found great prices over on Ebay or if you can find an outlet store you can also get some great discounts! I've just started cooking with stainless and my first try was ghee and fried eggs. They stuck horribly! Did I not use enough ghee? Should I try another oil? I really want this to work so I can move to them. These are borrowed pans, but are still stainless and should work. The brand is Wearever, I think. I did love how they cleaned up so easily. Help! Thanks! If the eggs stuck, then the heat wasn't turned up high enough. I usually heat the pan over medium for 2 minutes before adding the ghee and eggs. What about the safety of All Clad copper core? There is a layer of copper and 2 layers of aluminum clad inside. Can this leach out? From my understanding, it can't leach out, but you could all the company to clarify. I use stainless steel and cast-iron. Would love to try others as well. Stainless steel cookware is my favorite. Because they are durable, easy to clean and stay long. If you preheat the pans and pots carefully then no worries about rust! Hi Carrie! Have you heard of the Tramontina brand of porcelain-enamel cast iron? I really want Le Creuset, but it's out of budget for me. Just wanted your thoughts on Tramontina brand if you have experience with it. Thanks! I haven't heard of it, sorry! I know Lodge also makes enameled cast iron for a fraction of the price of Le Creuset, so that would be worth looking into! Read this when you first published it, mourned the fact that I couldn’t financially justify replacing my cookware at that time, and moved on. Years later, I boiled a pan dry and felt wretched for days. My husband was so sweet and understanding of my mistake and convinced that we should (and now could) replace ALL our cookware. His perspective was, “it’s over 20 years old, and I want to give you something you will want to use for another 20 years.” I am so blessed. Shopping soon! Thanks for alerting me to the importance of this decision before I needed to make it!